Try as I might, I cannot break my NATO strap habit. I keep telling myself that I have enough, there is no need for another, but then I see something new and I'm clicking "add to cart" again. I have a particular weakness for the leather ones, and why not? 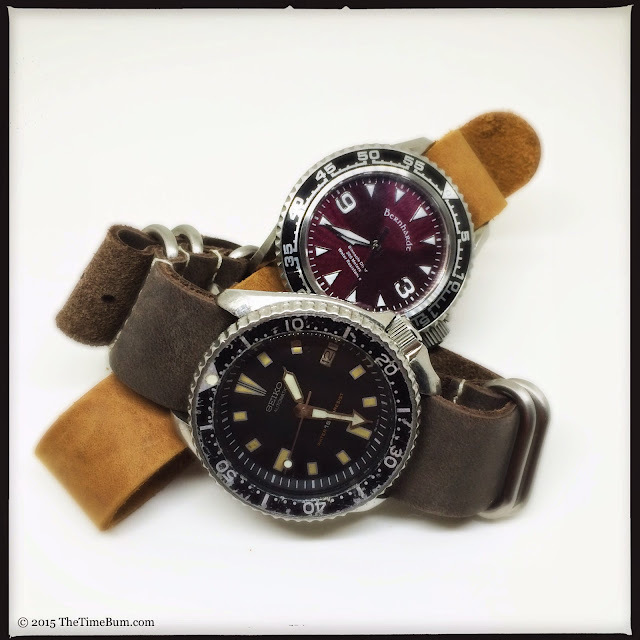 They are an easy swap and look great on a wide variety of watches. It is easy to get carried away, but lucky for me (and you too, no doubt) you can still find quality leather NATOs and Zulus at an affordable price. 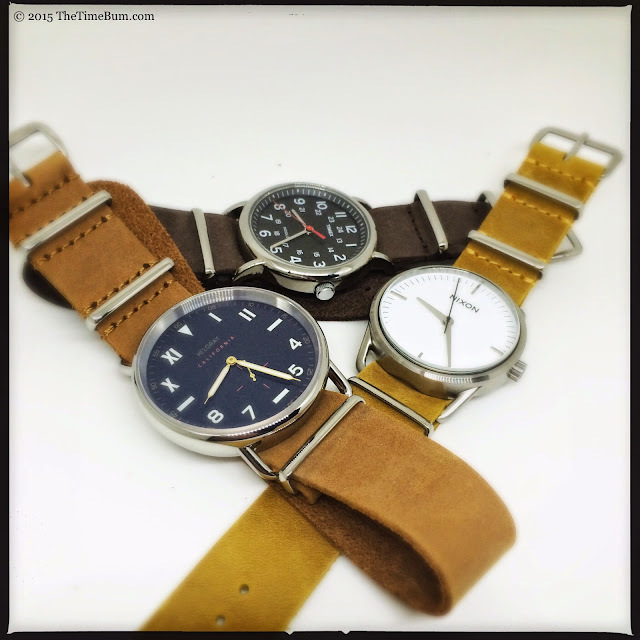 The NATO Strap Company happens to be one such source and to prove it, sent me a sampling from their new collection for review. 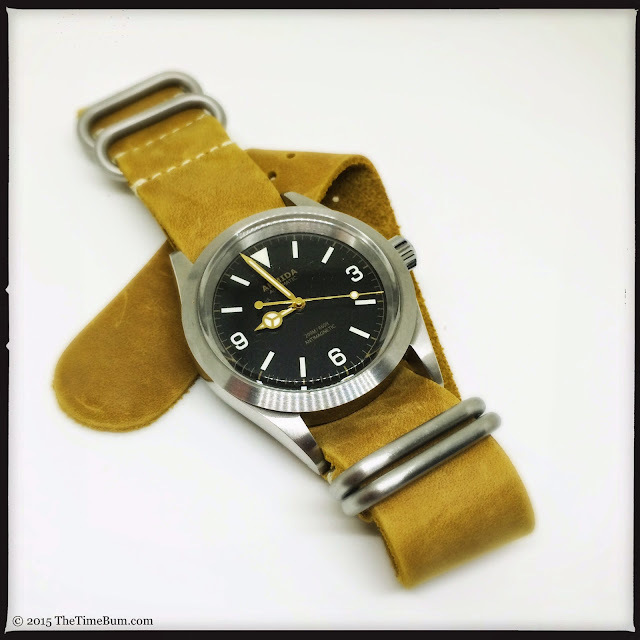 It does not take much to figure out what the NATO Strap Company (NSC) sells. 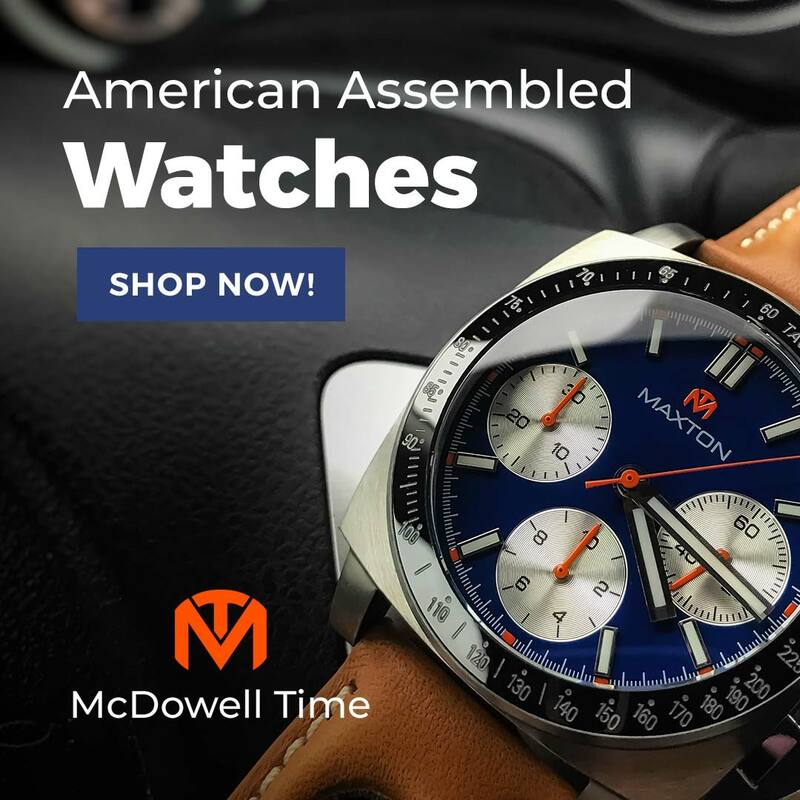 Started by a Californian watch enthusiast, the company has made their reputation on low prices, free shipping, and volume discounts. Last year, NSC was purchased by Panatime of New York. They have a new look, and some new products, but the same values. 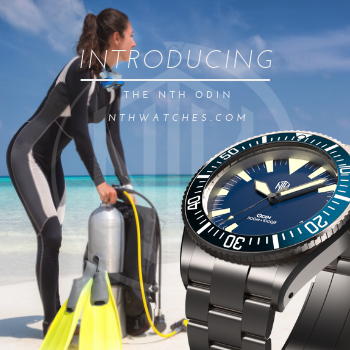 Their leather series consists of NATOs and 4- or 5- ring Zulus, in even sizes 18-24mm (and one or two 26mm). Hardware is all stainless steel, with sewn in buckles. 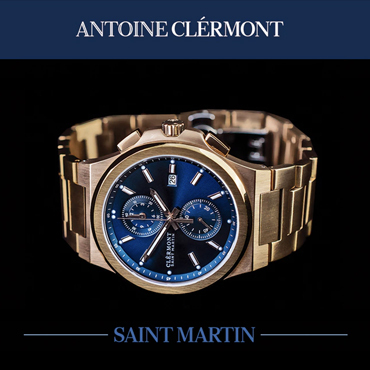 Depending on the model the options include polished, brushed, and PVD black or gold finishes. For this review, I received Cowboy, Buck, and Greenhorn 5-ring Zulus with brushed hardware; and Spur, Lasso, and Bootstrap NATOs with polished hardware. Strip away the Wild West names, and they are essentially beige, tan, and brown, in that order. The surface of the leather is sueded like nubuck, creating a matte finish. It picks up scratches easily but shrugs them off just as fast. A quick rub with my thumb is enough to make them fade, which bodes well for the development of a nice, weathered patina. I did not subject them to oils or other potentially staining liquids, but splashes of water had no serious effect, although I suspect repeated dousing may darken the straps over time. The leather also has a nice weight; pliable without being loose or floppy. The underside is raw suede. The straps are cut cleanly, but the sides are unfinished. It is a rustic look, particularly in these honey and earth tones. The NATOs are approximately 1.5-1.6mm thick, which should fit fine on most watches, but may require removing the spring bars first. They use squared hardware secured with straight, matching stitching. The keepers have a low profile, just tall enough to allow a doubled-back tail to squeeze through, and no more. Once secured, the ends will not work their way free. The straps are approximately 280mm/11" long, which is perfect for me. The Zulus have heavy, rounded hardware with two rings securing the lower strap and contrasting stitching. 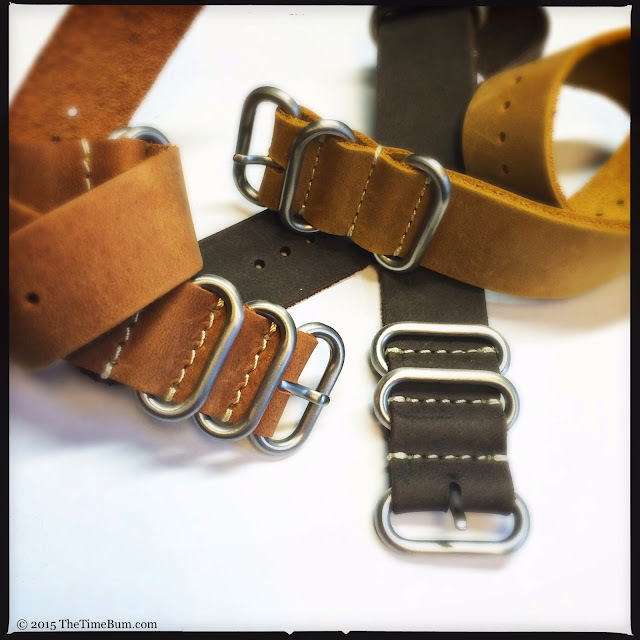 The straps are cut from slightly thicker leather than the NATOs. The Buck and Greenhorn were just over 1.6mm, and the Cowboy was a beefy 1.8mm. They wear a bit larger around the wrist than the NATOs, particularly if you tuck the ends back through the loops as I do. I found they worked well on chunky watches as the thickness of the leather and hardware balances the bulk of the case. Length is listed on the site as 280mm/11", but I found they ran longer, measuring closer to 300mm/12". On a 6.5" wrist, this means an inch of tail hanging down even after it has been pulled back through the keepers. Big wristed guys will appreciate the extra room, but I would have to trim the ends. Those of us with slimmer wrists would do better with the NATOs. 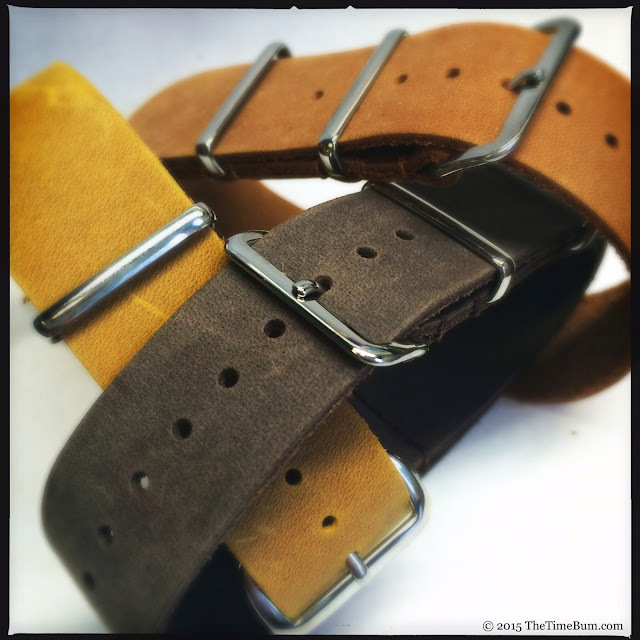 With six straps, in three colors, two styles, and two sizes (20mm and 22mm), I had a field day playing strap dress up with my collection. 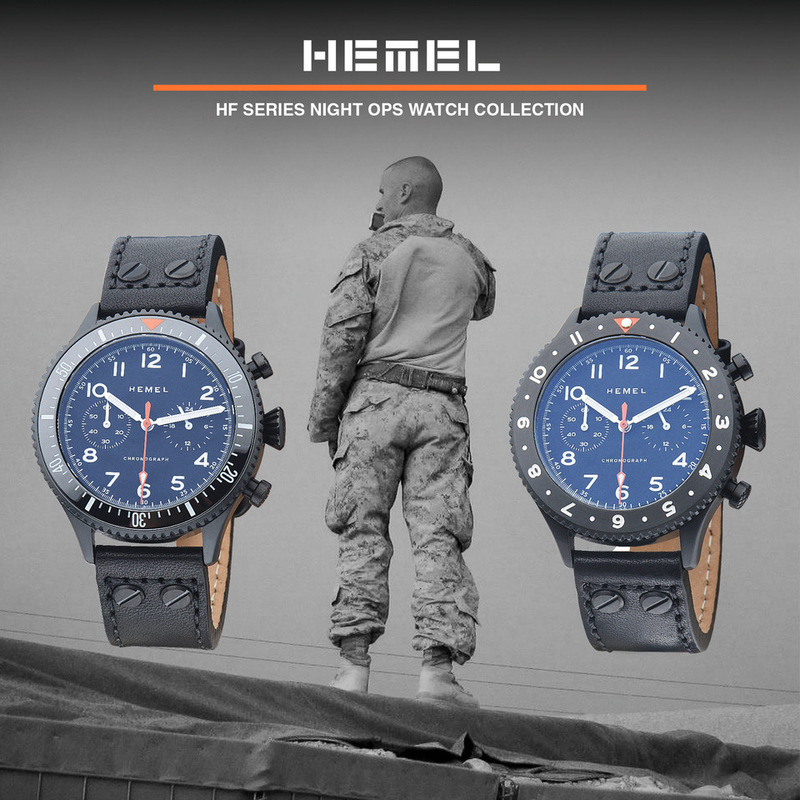 The straps are best suited to military and tool watches, but can also create an interesting contrast when used to dress down a more polished piece. Pricing is highly competitive. 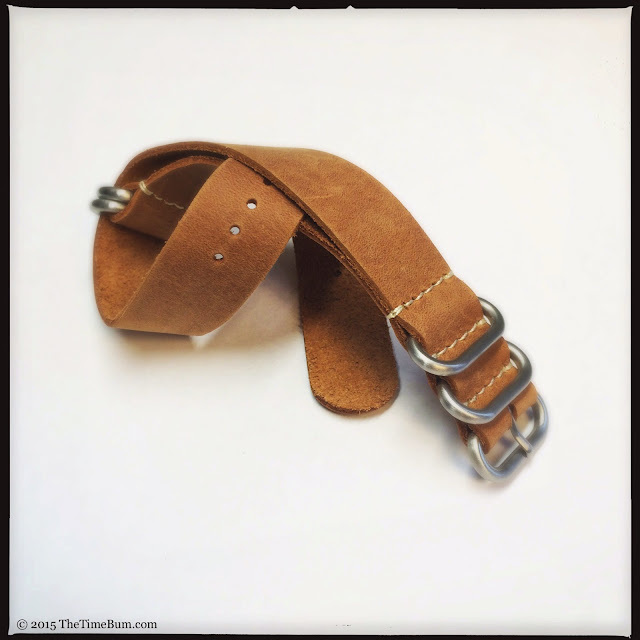 The NSC leather NATOs start at $23.50, the Zulus at $35. With free shipping, that is a pretty good deal, but it gets sweeter when you apply the volume discount: buy two straps for 10 per cent off, three for 20 per cent, and five for 30 percent. With a maximum discount, the NATOs are only $16.45 each, and the Zulus are $24.50. 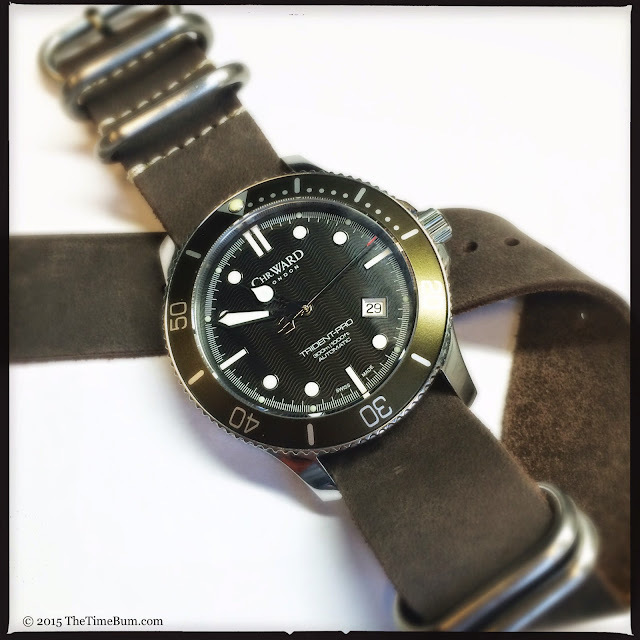 If you are in the market for some quality leather NATOs or Zulus, I highly recommend NATO strap company.